When they begin running a small business of their own, most entrepreneurs think they have a clear outline of their operations. However, as time passes by, there seem to be so many things to do and so little time to do it in that you tend to focus on those that require immediate attention. 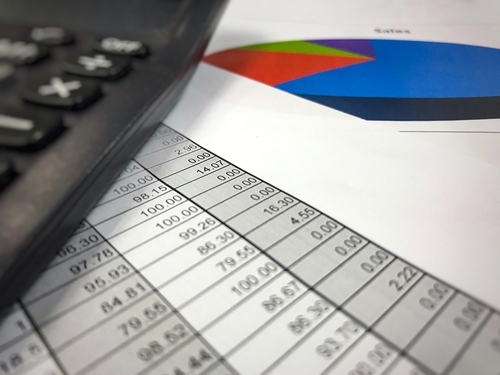 Financial accounting is an important task but most business owners may not have the resources to meticulously track their income and expenditure on a day to day basis. However, this may prove to be an expensive mistake because lack of records can lead to confusion about the financial status at a later date. Besides, the law also requires business owners to have their financial information readily available at all times. Here are a few accounting tips to help you keep you do this. Maintain a book for recording your daily sales and a deposit book to keep track of the sales deposits. Ensure you make the relevant entries on a daily basis or you may forget to log important information, resulting in financial discrepancies that are hard to explain. Having such a system also helps to some extent to protect your business from theft by employees. Similarly, maintain a file of receipts for all the items you purchase and use the information from here to record your expenses. The immediate value of this may not be obvious but come auditing time, having incomplete or no financial records may cause you to lose much more than your sleep. 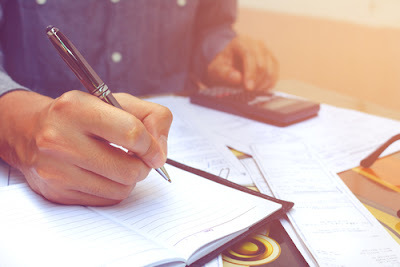 As a small business, your financial records will include a minimum documentation of sales, receipts, invoices, bank statements and payroll statements. Besides, there is also the additional work of calculating taxes and entitlements and arranging for the regular payment of these. 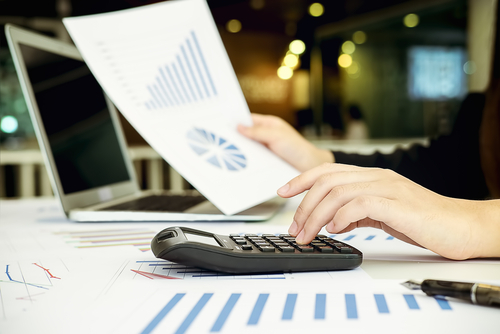 Allot this work to an in-house employee with expertise in accounting or better still, hire a qualified accountant in Vancouver to help manage this aspect of your business. Make sure you have a unique business account that you use only for your business expenditure. Your personal expenses should not appear in your business account statements. The best way to ensure this is to also have a credit card exclusively for spending on your business purchases. This is important because you cannot afford to have things like your home grocery expense figuring in your business expenditures. Whatever the emergency, make it a point to never ever make a personal purchase with your business credit card. One of the means wherein you can profit a certain amount of money is by venturing into business. If you are still a novice in this kind of field then you might want to start with a small business first. You must be prepared with a lot of obligations that you have to fulfill before you will finally decide to start one. In order to succeed in this endeavor, you must consider and build a good and strong accounting system. In order to do that, here are some tips. The first thing that you must do is to get a reliable accountant. Your accountant must be certified and must have a good educational background and experience when it comes to dealing with the money that goes in and out of your business. This person will be part of your business now and he must be competent enough to fulfill his tasks. After choosing the best accountant, as a business owner, you must be able to follow a good accounting system that you can also understand. It must present the flow of the money and you must be able to check it regularly. You must not leave all the tasks to the accountant. You must also keep track of where your business is going so that you will be able to learn if improvements are needed to increase the profit or changes must be made on how to run your business. Aside from that, you must also make an effort on learning more about the concepts and terms that the accountant uses when giving to you the small business accounting report. There are a lot of things that you need to know. You must understand the data entered on the spreadsheet and grasp how your money flows. Make sure also to understand how you pay for the taxes in your business. By learning the basics, you will be in control of your small business and you can somehow foresee its future if it goes on just fine. Lastly, do not mix your personal finances with that of your own business. If for instance you are running a small business on tazer for sale, do not get the money to pay your bills in the house from the profit that you have. Try to separate your personal expenses with that of your business so that you will really keep track of how your business progresses and of course you will know where your money went and what it was intended for. You must have a separate account for it. These are the things that you can do in order to have an orderly manner of how you account for the money that goes in and out of your business funds. By following this, you will be able to keep track of where your money is going and where your business is headed to. As your business expands, you may find that accounting and bookkeeping takes up a significant amount of your time. Although you may have entrusted the task to one of your existing employees, it may still be a drain on your resources because it means you cannot use that employee to help with other aspects of your business. 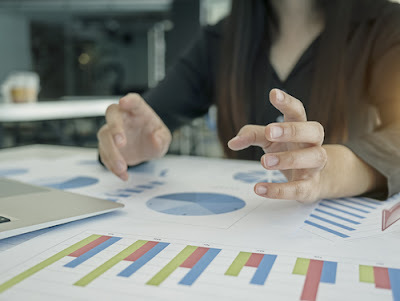 Therefore, it makes perfect sense to outsource your financial accounting to an expert accountant who has not just specialized knowledge but also several years of experience with business accounting. By now, you have already identified accounting supply companies that offer the products you need. Now it's time to narrow the field down to those who offer the service levels you need. You may need to speak with an account representative to get answers at this point. Use this conversation to get information as well as gauge the company's professionalism and enthusiasm. Is the supply company easy to reach when you call or are you immediately routed to voicemail. Is the representative knowledgeable, helpful, and friendly? Only after you've narrowed down your list to companies with the products and service levels you require should you bring price into the equation. Use your list to compare each of your top company's prices on your most frequently ordered supplies. By doing these steps, you should be able to select a supply company that has the right products, at the right service levels, at a fair price. One of the means wherein you can profit a certain amount of money is by venturing into business. If you are as yet a tenderfoot in this sort of field, then you might need, begin with, a private investment first. You should be set up with a ton of commitments that you need to satisfy before you finally choose to start one. robustTo prevails in this attempt; you should consider and assemble a solid and solid accounting framework. To do that, here the helpful tips. 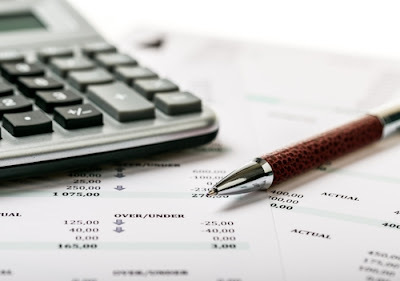 The principal thing that you should do is to get a dependable bookkeeper.Your accountant must be certified and must have a good educational background and experience when it comes to dealing with the money that goes in and out of your business. How you choose this kind of employee must be the same as how you search for the best stun gun in the market. The person will be part of your business now, and he must be competent enough to fulfill his tasks. After choosing the best accountant, as a business owner, you must be able to follow a good accounting system that you can also understand. It must present the flow of the money, and you must be able to check it regularly. You must not leave all the tasks to the accountant. You must also keep track of where your business is going so that you will be able to learn if improvements are needed to increase the profit or changes must be made on how to run your business. Aside from that, you must also make an effort on learning more about the concepts and terms that the accountant uses when giving you the small business accounting report. There are a lot of things that you need to know. You must understand the data entered on the spreadsheet and grasp how your money flows. Make sure also to know how you pay the taxes in your business. By learning the basics, you will be in control of your small business, and you can somehow foresee its future if it goes on just fine. Lastly, do not mix your personal finances with that of your own business. If for example, you are starting a small business on paper for sale, do not get the money to pay your bills in the house from the profit that you have. Try to separate your personal expenses with that of your business so that you will keep track of how your business progresses and of course you will know where your money went and what it was intended for. You must have a separate account for it. These are the things that you can do to have an orderly manner of how you account for the money that goes in and out of your business funds. By following this, you will be able to keep track of where your money is going and where your business is headed to. At the time that you have ever set-up a business the, you may surely understand that initially you more often than not wind up doing everything yourself This incorporates everything from records to cleaning the workplace also doing the greater part of the paid work too. As your business develops you achieve the point where you can't do everything yourself and on the off chance that you need to keep growing you have to utilize the administrations of other individuals. The primary person that you ought to consider enlisting is a bookkeeper. However, choosing the right bookkeeper for your business isn't as straight advances as you may think. Be sure that you pick a qualified bookkeeper for your business. Some dependable individuals have completed some accounting before and can do it extremely well, however until the Inland Revenue make a request to observe your books, you will never be sure that they are doing the employment effectively.The moment this happens then you require the confirmation that your records have been professionally arranged by a qualified individual who is fully informed regarding current assessment laws and stipends. Ensure that the bookkeeper you pick is a man that you can have a decent working association with. When you begin looking around you may well discover a separation in the kind of bookkeepers you turn up. One side will frequently be the greater accounting firms where you don't address a similar individual twice. On the opposite side will be the little accounting firms that tend to manage businesses in their neighborhood. For little to medium-sized businesses, it is frequently simpler to develop a solid working association with a little accounting firm likewise the administration charges of a littler accounting firm are additionally at risk to be a great deal more reasonable. Ensure that whoever you pick, they are somebody who sees how your business functions. You typically find that with bigger accounting firms, they have a tendency to represent considerable authority in particular ranges of business. Littler accounting firms have a tendency to have a more extensive involvement in managing diverse business sorts. Guaranteeing that your bookkeeper knows how your business works are fundamental to them having the capacity to do a great job for you so ensure that your bookkeeper comprehends your industry and business set-up. Ensure that the record you pick can offer you an exhaustive scope of accounting administrations. Verify what benefits your record can give and what level of administration you will get for your cash. At the fundamental level, most bookkeepers will file your expense form to the Inland income for you and ought to the need emerge to have the capacity to present the greater part of the necessary reports vital for a money related review. 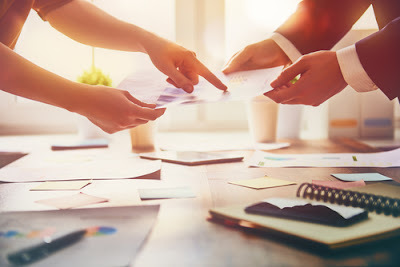 A few bookkeepers offer other administrations, for example, monitoring your business execution and assisting with your business arranging; they can likewise work close by and bolster your management group. Continuously make inquiries before choosing, and bookkeeper requires ensure that you meet a few records. Constantly think about the administrations that you get for the cash that you are paying and look at a couple of bookkeepers like for like. Verify whether they as of now have customers in your general vicinity of business and perceive how deep their comprehension of your business is.